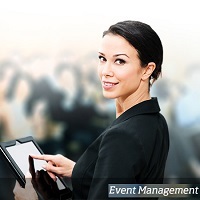 We have expertise in undertaking recruitment for Event Management firms. Nowadays, these firms have become a pivotal part of a corporate world, because all the corporate events â�� small or large â�� are organized by them. We understand that such firms require the candidates who are self-motivated and enthusiastic and who thrive on creative ideas and teamwork. Thatâ��s why we are able to provide the top-notch Recruitment Services to the Event Management firms, time and again.